SPECIAL NOTE: Product ships from separate warehouse via normal ground service only to USA destinations. Cannot be expedited. Made in the USA. 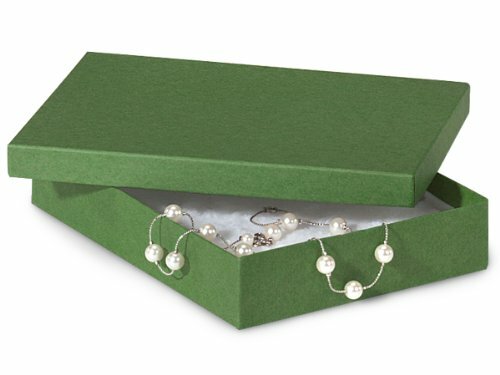 Jewelry boxes contain 100% recycled boxboard which is the largest component of the box by weight, does not include paper outer wrap. Paper outer wrap are 10% recycled. Better crafts brings you a vast variety of superior quality gift wrapping supplies in various sizes and colors. All Durable! All Exclusive! Whether you are presenting a birthday gift, wedding gift or Christmas gift, Our award-winning selection will help you gift someone special in ultimate class and distinction that will surely make a statement! If you have any questions about this product by Better crafts, contact us by completing and submitting the form below. If you are looking for a specif part number, please include it with your message.